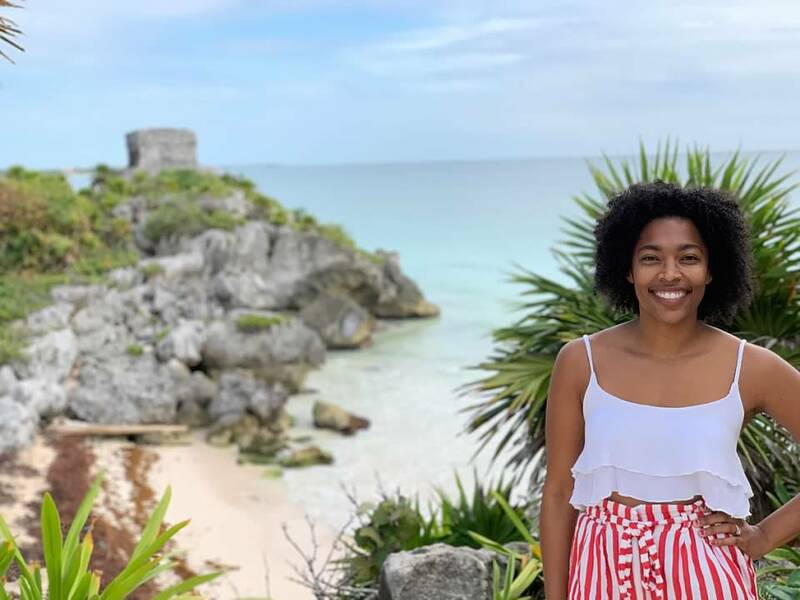 For my 31st birthday I treated myself to a solo trip to Tulum, Mexico. It would be my first experience with solo travel and while I was a bit nervous I was also extremely excited. This trip would give me much needed time alone as a wife and mother of two toddlers. I would be able to rediscover all the things I love to do without having to compromise on anything. While I am obviously an advocate of traveling with kids I also believe in taking time for yourself as a parent. After finding a cheap flight to Cancun on Spirit Airlines and knowing how easy it is to get from Cancun to Tulum it was a no brainer. 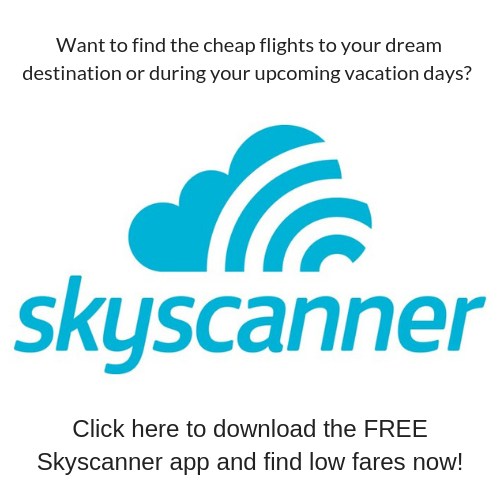 You may be interested in reading: 6 Ways to Maximize Savings When Flying Spirit Airlines. Cancun Airport is 90 minutes from Tulum so you will need to book a Cancun Airport transfer, rent a car, or take the bus to get from Cancun to Tulum. I planned on getting around Tulum by bike so I booked a Cancun Airport transfer through Cancun Airport Transportation. They were on time, my driver was polite, and the vehicle provided was very clean. I even changed my pick up location last minute with no issues and no additional fees. If you’d like to rent a car to get from Cancun to Tulum you’ll have many options including affordable options from American rental companies like Alamo. If you are on a budget taking a bus from Cancun to Tulum will be your cheapest option. The bus company is ADO and the ride from Cancun to Tulum costs about $15 depending on the time you take the bus. The bus ride from Cancun to Tulum takes two hours with buses leaving every 90 minutes to two hours. The first bus sis at 10:55AM and the last at 9:45PM. Car Rental in Tulum, Is It Necessary? When I was planning my trip to Tulum everything I read said to just get a bike rental in Tulum. So that is what I planned to do which is why I booked the airport transfer with Cancun Airport Transportation. However when my airport transfer was arriving into Tulum I realized everyone was riding their bikes on the street. Bikes aren’t allowed on the sidewalks in Downtown Tulum and I didn’t feel comfortable riding in the street. It was also hot and I couldn’t imagine riding all day in the sun. If you don’t plan on exploring far from your hotel a bike might be the way to go. Since I wanted to really explore Tulum I decided to rent a car. I asked my driver to drop me off at Alamo instead, looking up the prices on the way. I was shocked how affordable they were. There were rentals for as low as $5 a day, much cheaper than a taxi with control of your schedule. I got the highest level of insurance possible where I’d be responsible for nothing ,even if the car was stolen. My total was a mere $100 for my 3 day rental. The price online was cheaper than what the agent at the counter offered me so check both. I booked my reservation while at the desk and although I had service on my phone the agent offered me the WiFi password. Tulum has 3 main areas people choose to stay in. These are the beach hotel zone, “town”, and the strip where the all-inclusive resorts are located. 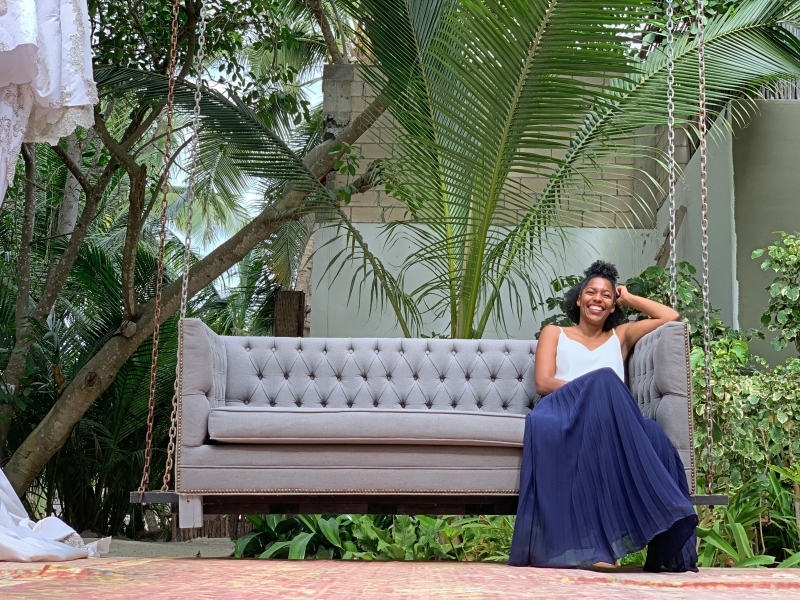 When researching where to stay in Tulum I decided to stay in town. This decision was mainly based on budget as the beachfront hotels were extremely expensive. I booked Casa de Piedra on Booking.com which is an apartment building ran like a hotel. After booking it I found out they also rent the units on Airbnb. 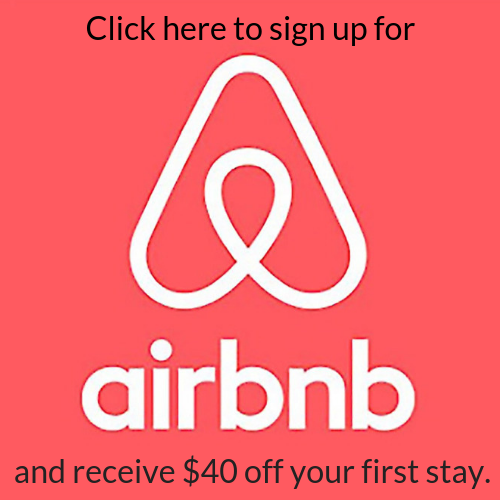 If you’ve never used Airbnb before you can sign up here to save $40 on your first stay. My unit was clean, had amazing natural light and I loved the huge hammock on the second floor. You can see it in the photo below above the living room. 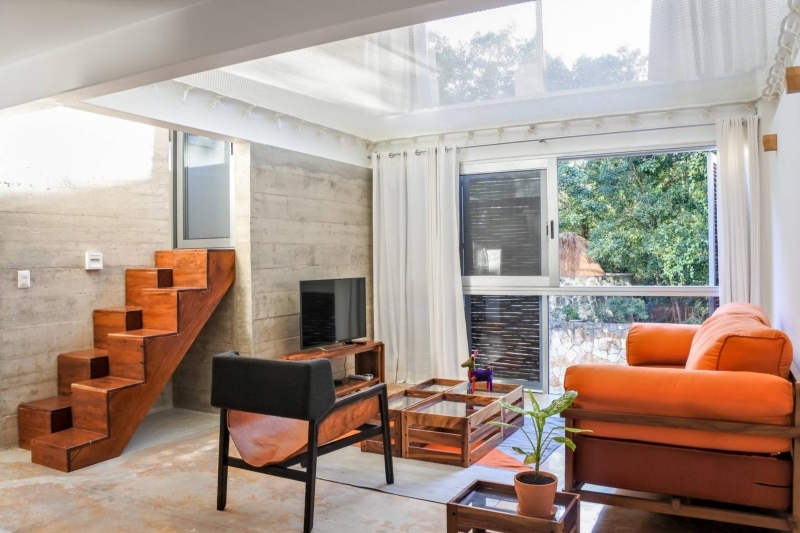 Casa de Piedra offers free parking, has a rooftop pool, and has a secure gate which requires a key to enter. The building is well lit at night so I felt safe coming in alone in the evenings. It is off a side street with limited street lights at the start of the block. If you arrive at night the road is dark when you immediately turn but once you get closer to the building it’s well lit. Nervous about staying in an Airbnb? Here are 8 ways to guarantee a great Airbnb experience. 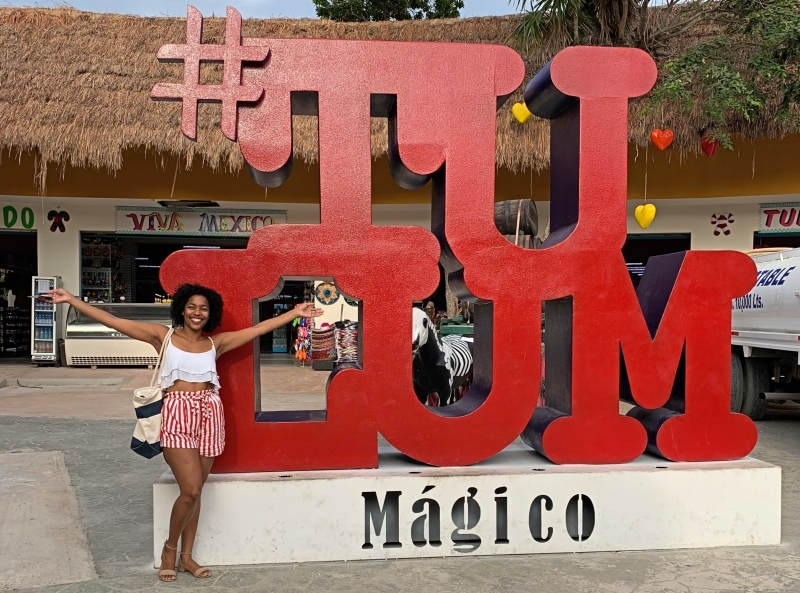 Having 4 days in Tulum I researched the best things to do in Tulum. 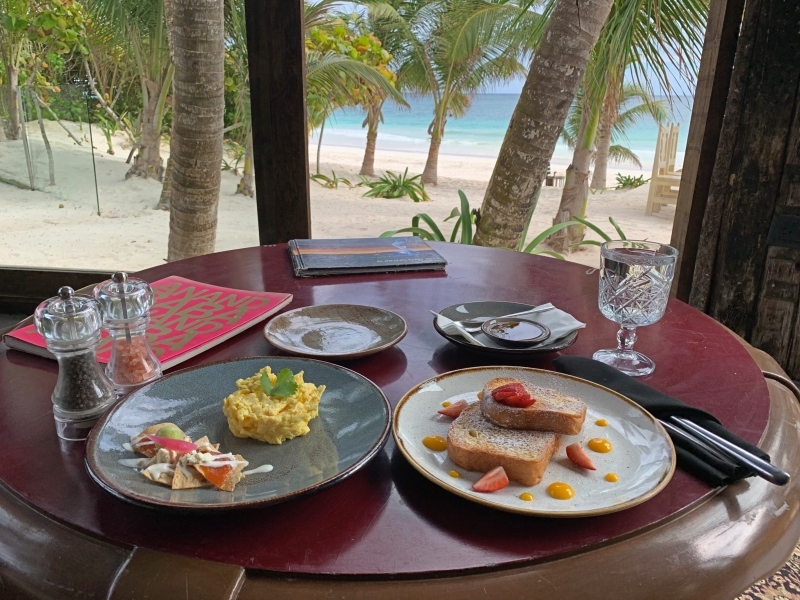 I decided I wanted to spend time on Tulum’s beaches, scuba dive, get a massage, and eat delicious food. I’m happy to say I accomplished all of that and more! 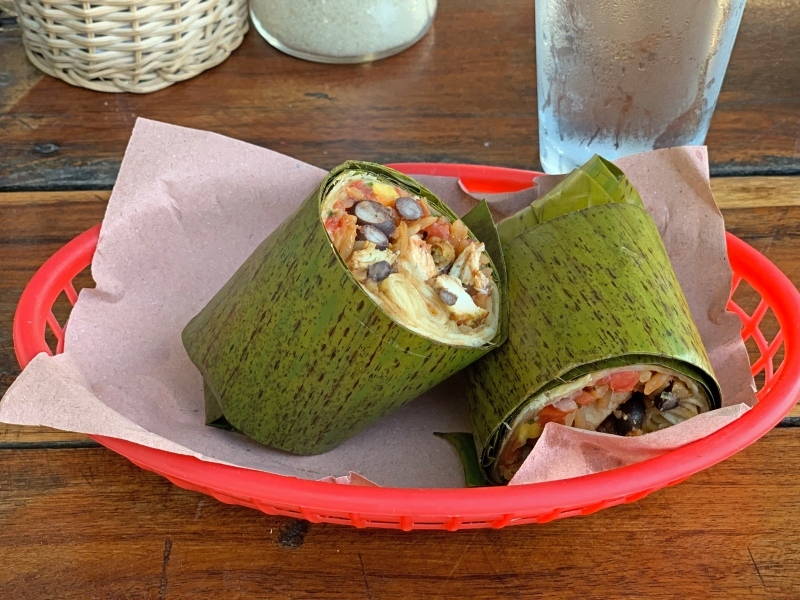 After checking in to my Tulum Hotel I had lunch at Burrito Amor Tulum at the recommendation of the check-in agent at Casa de Piedra. It is an outdoor restaurant with a nice chill vibe. They have options for everyone including vegan and vegetarians. The best part is my meal was under $5! After a late lunch I headed to Kin Toh at Azulik Tulum. It’s said to have one of the best sunset views Tulum has to offer. Kin Toh is a restaurant at the Azulik Tulum hotel and if you want to eat dinner here you need to make a reservation. I overheard other trying to get a table without a reservation and the wait was 2-3 hours. The restaurant is also quite expensive so be sure to check out the menu first. If you just want to see the sunset like I did you do not need to make a reservation. 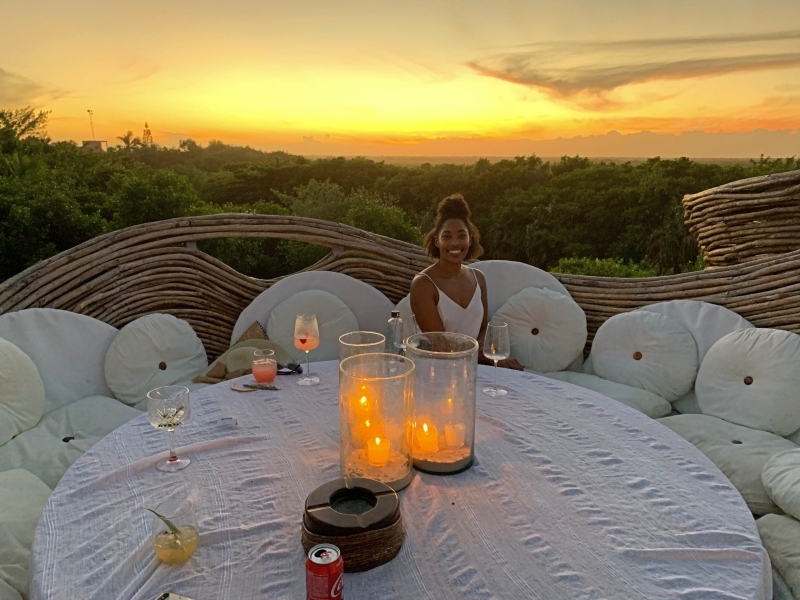 There is a one drink minimum and two shared tables with the perfect sunset view. These shared tables aren’t just any tables but tree nests for a unique experience. On my way home I stopped at the grocery store, Super aki, to pick up breakfast food to save on dining. 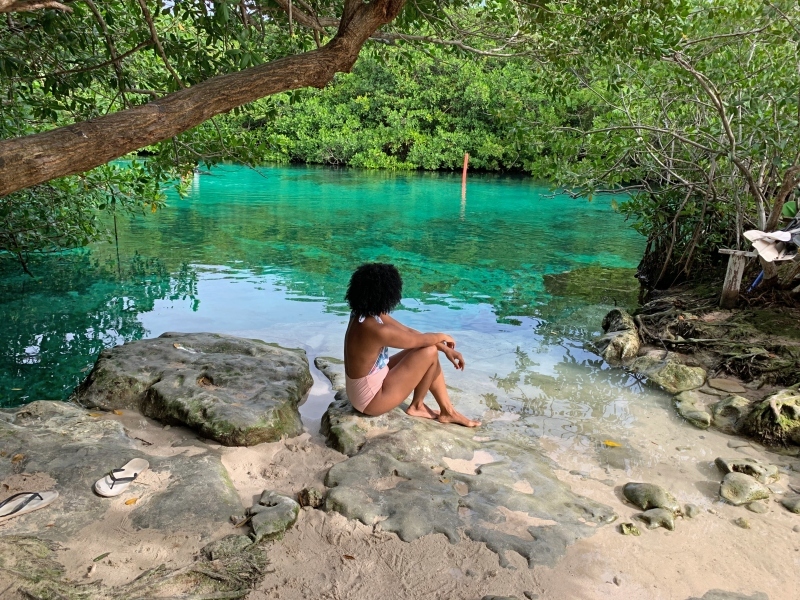 There are over 6,000 cenotes in Mexico and on my second day I would be exploring the best cenotes in Tulum. Scuba diving is something I love but don’t often get to do when traveling with my kids. 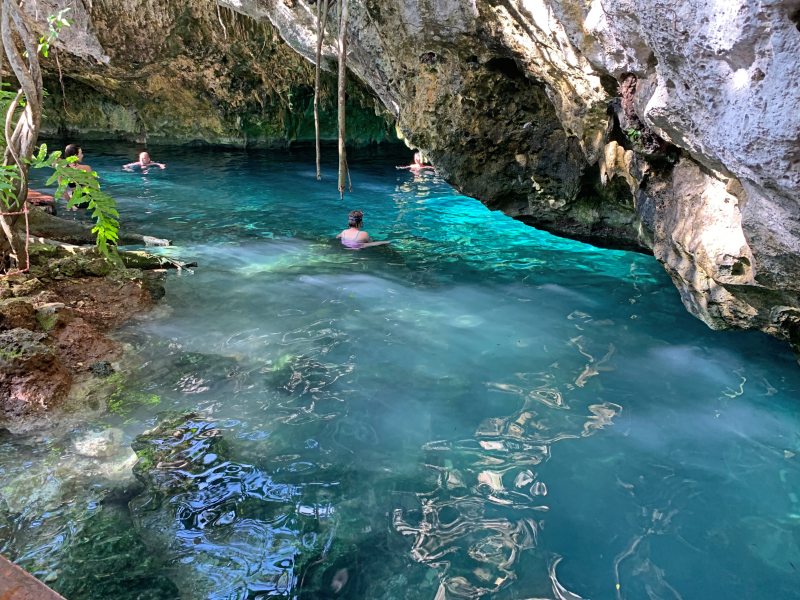 I’ve heard cenote diving in Tulum was phenomenal so I chose to explore the cenotes that way. 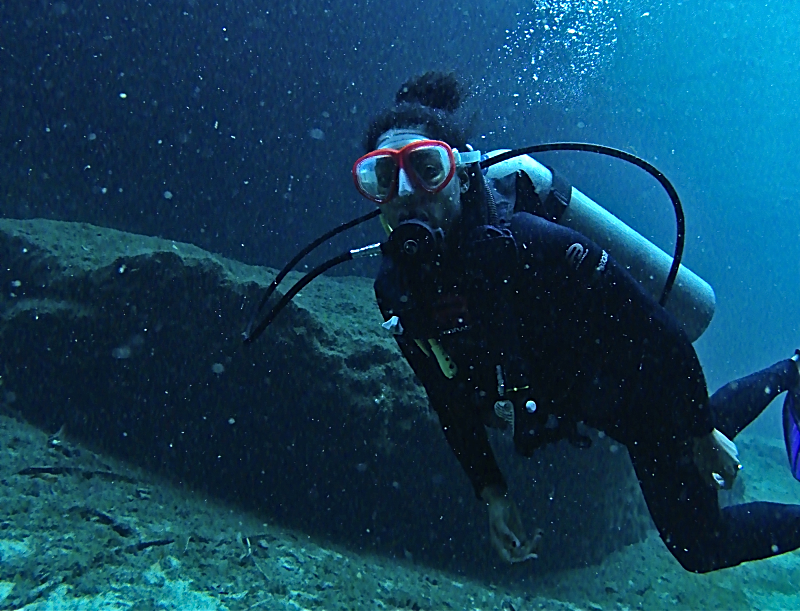 I went scuba diving in Tulum with Agua Clara Tulum Diving and had an amazing time. I did the Discover Scuba Course which does not require a diving certification. You will have the opportunity to dive Casa Cenote with the option for a second sea dive afterwards. Diving Casa Cenote was amazing and one of my favorite dives thus far. The water is shallow so if you have issues equalizing your ears this is the perfect dive for you. The water was very clear and I saw an abundance of sea life including crabs, eels, and colorful fish. My guide at Agua Clara was very informative and gave us general information about Tulum on our drive to Casa Cenote. After diving I had lunch at La Chula Tulum. The atmosphere is nice, the service was excellent and my food was good. It was twice the cost of Burrito Amor Tulum at $11 for my meal but still quite affordable! I wanted to check out another cenote and Gran Cenote is said to be one of the best cenotes in Tulum. There is $10 entry fee and there is an entire complex with hammocks, a large grass field, and volleyball court. Life jackets are available to rent for an additional fee. After falling asleep reading on the hammock in my room I went back to Burrito Amor Tulum for dinner. I was too lazy to look up something new and it was close and affordable. The vibe at night was great with nice music playing and a lively atmosphere. I had previously visited the Tulum Ruins on a trip to Cancun where I did a guided tour. This time I decided to explore on my own. I paid 100 pesos to park and 70 pesos to enter the ruins, about $8.40. The Tulum ruins are open from 8AM-5PM daily. It gets crowded quickly so arrive early to beat the crowd and midday heat. The ruins are right on the beach and you have access to it with your entry. Bring a bathing suit and towel if you want to take a swim! After spending the morning enjoying the Tulum Ruins it was time to relax on the beach. Since I wasn’t staying at a beachfront hotel I had to decide where I wanted to go. While there are free public beaches in Tulum like Las Palmas and Playa Pescadores I wanted full service. 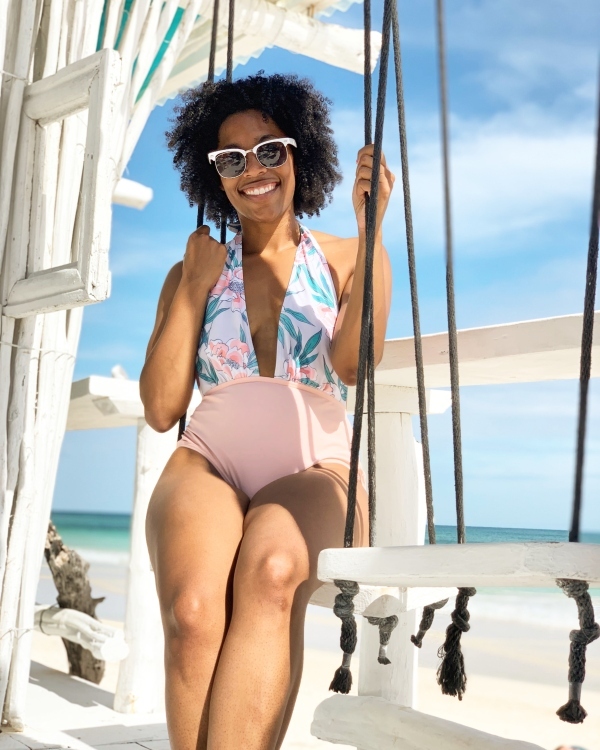 I researched the best beach clubs in Tulum and decided on Coco Tulum. It has free parking, beach chairs and umbrellas and cute swings facing the water. There is a minimum spend of $25 at their bar/restaurant to enjoy these services. I’d have to eat lunch so I thought it was worth it. My order ended up being less than $25 (around $15) and they did not make me order anything else. I’m not sure if they aren’t strict on the minimum spend or if I just got lucky. The restaurant is cash only so be sure to have some. If not you’ll have to pay the $8 ATM fee like I did. I made a 5pm appointment for a 2 hour massage with Margo in Mexico after reading amazing reviews on her services. I love massages but always feel like they an hour goes by so quickly. So when I found out Margo charges $115 for two hours I had to splurge and treat myself! Since I had a car rental I chose to go to her home studio which reduced the price a bit. Don’t worry if you don’t feel comfortable with this option. Margo will come to your Airbnb, resort, or can even offer a beach massage for an additional fee. Feeling relaxed I headed to another one the best beach clubs in Tulum, La Zebra Tulum for dinner. While it was dark outside and I couldn’t fully enjoy the beauty the beach club offers it wasn’t my main reason for visiting. La Zebra Tulum has free salsa lessons on Sunday nights and that’s why I really came. Like Coco Tulum La Zebra offered free parking in a private lot. After salsa lessons a live band performed while everyone danced. Even if us novice salsa dancers couldn’t remember the moves from our lesson, we had a great time! My meal was excellent but I had sticker shock in comparison to where I’ve previously been eating. My dinner came up to $30, a far cry from my $4 Burrito Amor meal. I would be heading back home today but I couldn’t leave without visiting Casa Malca Tulum at Pablo Escobar’s Mansion. It’s a beach front hotel and Instagram famous for its hanging chairs and sofa. I decided to treat myself to breakfast at the Philosophy restaurant on-site which is gorgeous. The food, like the hotels on this beachfront hotel zone are way more expensive than downtown. My french toast and scrambled eggs cost me $25 but you’re paying for the atmosphere. After breakfast I returned my car to Alamo and was picked up by Cancun Airport Transportation for my Cancun airport transfer. I had the most amazing first solo trip and highly recommend parents take at least once a year. Here are some products I recommend for solo trips which I used on mine. Found this post helpful in planning a trip from Cancun to Tulum, Mexico? Please share it to help someone else! Yes, yes, yes! Thank you for posting this! I’m planning my first solo trip and plan on going to Tulum!!!!! Your post is so detailed! Thank you! I do have one question, though. If you had to do it over, would you feel comfortable driving from Cancun to Tulum by yourself? You’re so welcome! So I think I would feel comfortable, the road to get there is all highway and pretty much a straight shot. I would however only do it if my flight landed and departed during the day where I wasn’t driving at night. 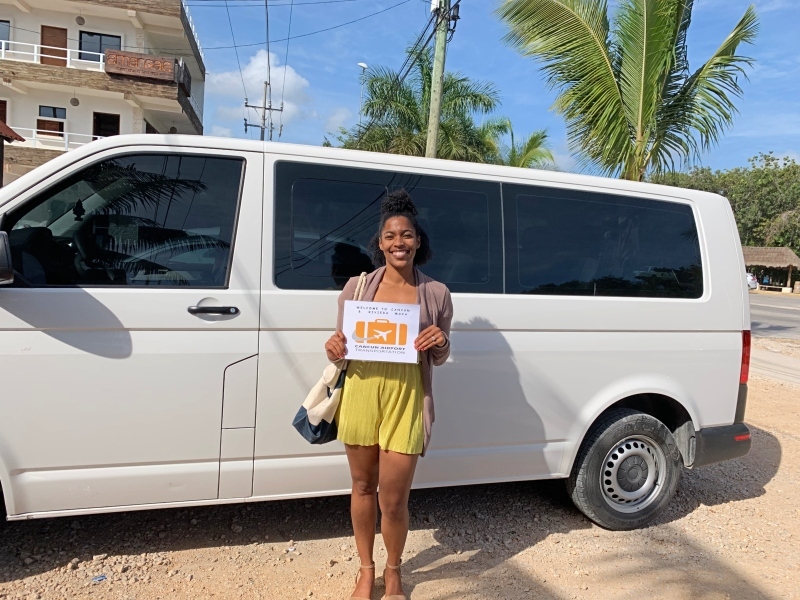 I just had no intentions of renting a car in Tulum which is why I did the shuttle and I will admit I hate driving long distances. Yes I think 90mins in a car is long distance lol, don’t judge me! It is a long drive especially when the road is unfamiliar. It is about the same distance from ABQ to Santa Fe I got caught driving down those dark roads with limited GPS and the charger in my rental wasn’t working so I was scared. So yeah, great advice about making sure you start out early enough in the day. Sounds like you had an amazing and refreshing solo vacation. Tulum is high on my list of places to visit this year. How can you travel so much? I wanna travel as much as I can while I’m young. Tips? I loved this! 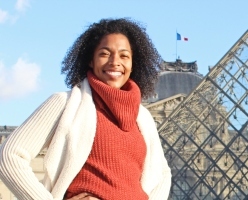 I always wanted to do solo travel before I got married. My daughter was young and I always made the excuse that she “needed me”. I love to travel, however, sometimes you want to do things by yourself. It can make for a completely different experience! Thanks for giving me the motivation to try! Thank you so much for this detailed experience! I want to take my first solo trip, but I am nervxcited! I was thinking PR, but now you got me wanting to go here. Hello, did you make arrangements to be picked up from the airport before traveling or once you arrived? I arranged it prior to arriving at the airport.